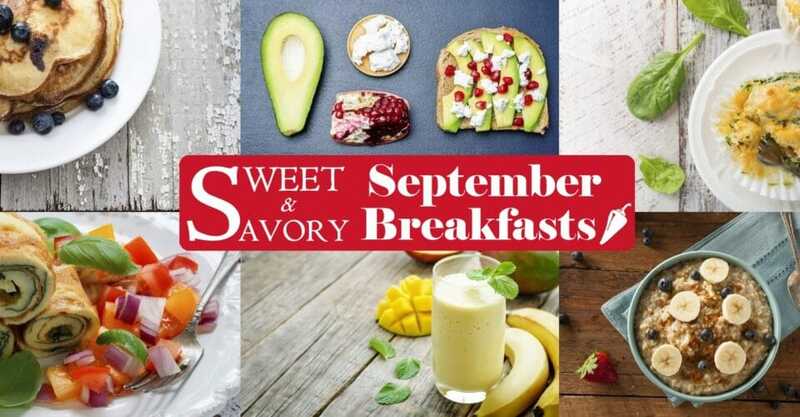 September is the perfect time to take stock of our eating habits – especially in the morning. The days are still warm and we’re energized from our summer holidays…now’s the time to start implementing healthy practices so that we’re well anchored before the daily grind sets in. You know your coach: proactive instead of reactive is the way to go! 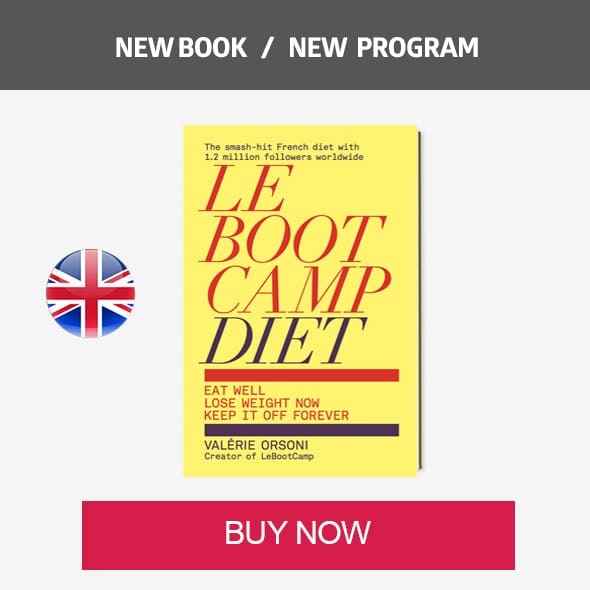 And it takes at least 21 days for a new habit to take form, so let’s start now! The way you start your day will determine its course: a healthy, satisfying breakfast reduces the likelihood of you caving to the chocolates your colleague brings to work. And the same goes for your kids heading back to school…a sound breakfast will keep them energized. Here are 7 fun breakfast ideas for the whole family – sweet and savory to boot! 1 – Gluten-Free Pancakes: prepare the batter the night before and refrigerate so that you can cook the pancakes first thing in the morning. 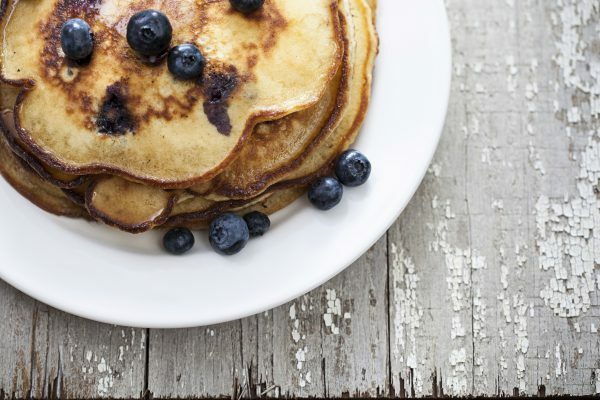 Don’t drown these healthy pancakes in ice-cream or maple syrup! Instead, serve with fresh fruit, a little agave, and a glass of vegan milk! Combine all the ingredients together in a mixing bowl. Pour in 1 ladle of the batter; if you are using a large frying pan, you can do about 3 ladles at time. 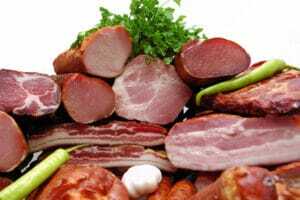 Cook over medium heat for 2 to 3 minutes on one side. Then turn over and cook on the other side. The pancakes should be slightly browned. 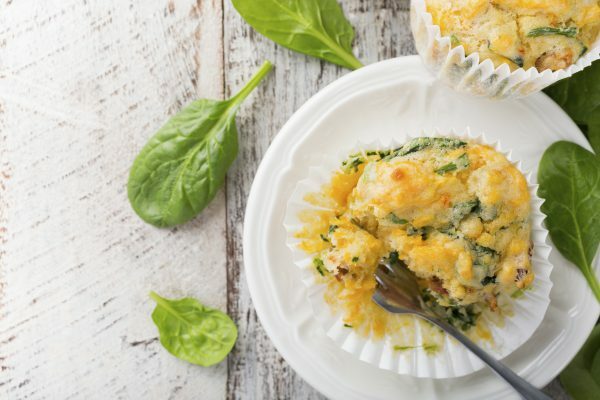 2 – Fresh Spinach Muffins: a great recipe to make over the weekend – prepare enough to last a few days! Your kids will be loving spinach without knowing it ;). Wash the spinach leaves and pat dry in paper towel. In a large bowl, beat the eggs. Then add the olive oil, baking powder, flour, and last, the warm milk. Add the spinach, smoked salmon pieces, ground pepper and mix well. Pour the batter into greased muffin molds, about 2/3 full. Bake at 360°F (180°C) for 20 minutes. 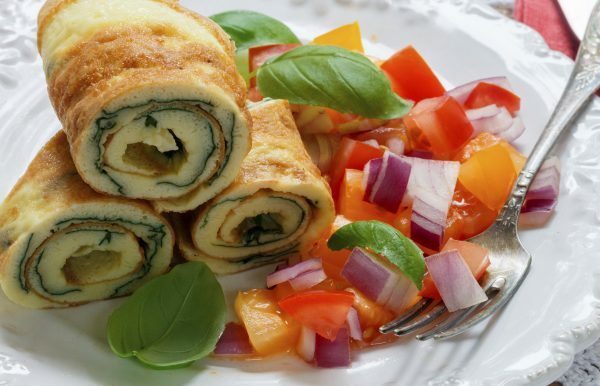 3 – Omelette: A satisfying breakfast with a low glycemic load to give you your morning boost. Choose organic free-range eggs to refuel in omega-3 fatty acids, and add a side of fresh vegetable salad for fiber. 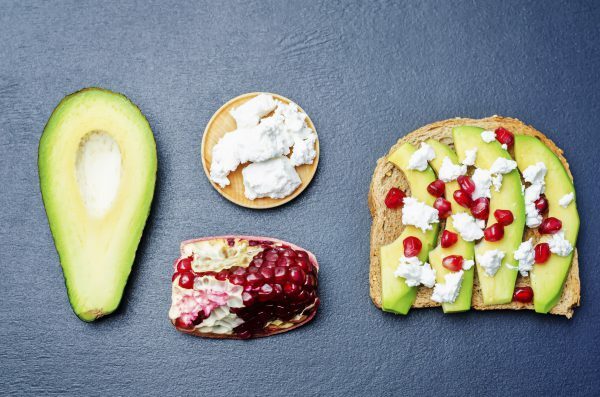 4 – Savory Toast: choose wholegrain or gluten-free bread, avocado for fiber and essential fats which the body cannot produce on its own, pomegranate seeds for antioxidants, a sprinkling of cheese (sheep or goat is your best bet! ), and a drizzle of organic olive oil. A great alternative to butter and jam! 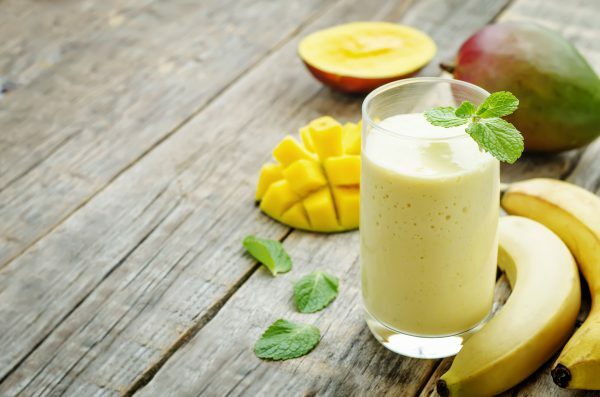 5 – Smoothie: the ideal breakfast for those of us in a hurry! Blend your favorite fresh fruit, grains, and even vegetables with your choice of vegan milk – and presto! A healthy and light breakfast packed with vitamins. A breakfast smoothie is also convenient for those of us who are not hungry in the morning – pour into a sealed bottle and grab it for a little later! 6 – Juice Boost: goodbye processed fruit and veggie juices that contain additives, preservatives, flavors, sweeteners and so on. Spend a few minutes throwing your own fruits in a juicer and you’ll be much better off! Opt for organic fruit and vegetables, rinse them well and juice them in their skins to extract a maximum of nutrients. Go for a ratio of 1/3 fruit to 2/3 vegetables. Juice seasonal produce, and feel free to add fresh herbs (parsley, coriander, mint, etc.). 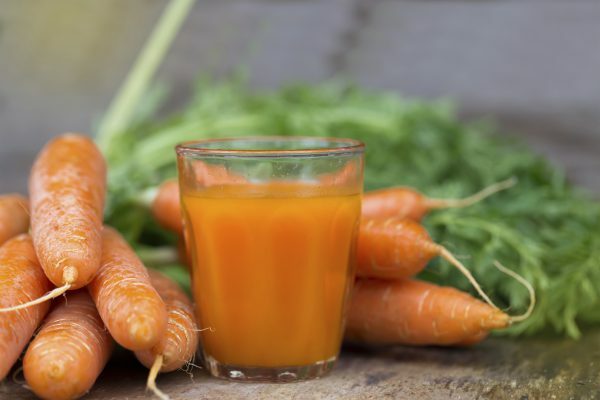 Juicing is the most affordable way to detox your body: by separating the liquid from the pulp, juicing removes the insoluble fiber which means that your body absorbs almost all the nutrients from the fruits/veggies – and very rapidly! 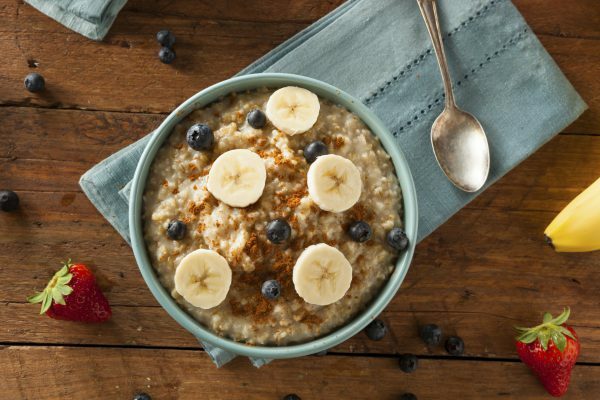 7 – Porridge: a grounding breakfast that to warm up your Fall mornings. If you’re drinking our LeBootCamp flagship drink of Sobacha on a daily basis, you can also use the leftover buckwheat groats for this breakfast: instead of throwing them away, cook the groats in vegan milk, add some dried fruit or a little organic honey and voila, a yummy breakfast! Over medium heat, heat the almond milk, coconut sugar and cinnamon. Add the buckwheat and cook to desired consistency, stirring occasionally. When cooked, pour into a bowl and add the diced fresh fruit. This recipe can also be made with hazelnut milk, coconut milk…etc! 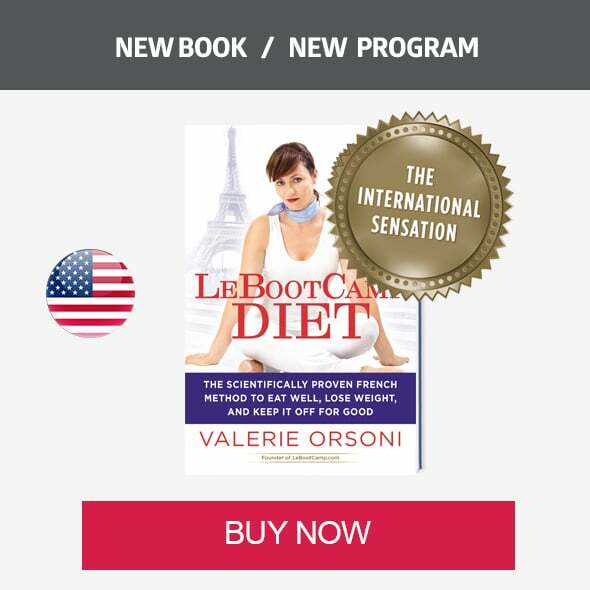 Bon appétit & join me on LeBootCamp for more!